Sheila Modglin, a beloved longtime bartender at Dirty Franks in Center City, had just finished her Thursday night shift. The demands of working behind the bar on Eagles parade day were as taxing as could be expected. As she was making her way to the place she was housesitting in Mt. 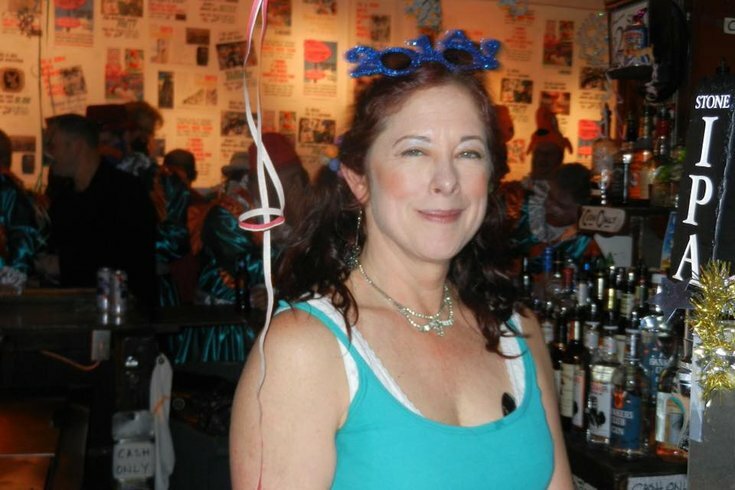 Airy, a white cab was flagged down outside the bar at 13th and Pine streets at 10:07 p.m.
By 11 p.m., the 56-year-old "legendary person" would be fighting for her life after she was struck by a vehicle on Lincoln Drive near Cliveden Street. For two days, friends and family had little information to go on and they were under the impression that she was struck by a hit-and-run driver. A social media campaign seeking information was launched. On Sunday, a city official called her brother Rick with some answers. He let her know the driver stayed at the scene and called 911, the reason she received medical attention as quickly as she did. From witnesses at the scene, and the driver himself, Rick learned that his sister tried to run across Lincoln Drive, didn't see the car coming and was struck. The running theory is that she got out of the cab before the destination because "she wanted to walk the last few blocks, to get some fresh air, for whatever reason." "The driver immediately applied his brakes. We don't think there are speeding issues. This was confirmed by multiple drivers there at the time," Rick said. "He stayed with her until EMS arrived. I don't know his name, but we're sending prayers to this poor guy," he continued. "It's beautiful that he stopped, and the police have done their work diligently." From canvassing the area in the days after the collision, longtime friend Christine Godwin-Pierce said, "neighbors told us that intersection has been a problem for years. They've been complaining about it." She also spoke about her friend who was fighting for her life at Albert Einstein Medical Center. Modglin is in a medically induced coma, a piece of her skull having been removed to help alleviate brain swelling. She also has multiple broken bones. "They did the emergency surgery quickly, which is the important part. They can't do anything else until the swelling goes down," Rick said of the related injuries. "She'll be on a long road to recovery, but she's stable and we've seen promising signs." Modglin doesn't lack for support. "Over 100 people have visited her at the hospital already. The security guard asked, 'Who is she? Is she someone famous?'" Pierce shared. "In a way, yes. She's more than a bartender. She's been an actress since her late teens and bartended to fund her way to become an artist. "She's one-of-a-kind, funny, full of life. Doctors say it will be a week if not months before they get an idea about (the nature of her brain injuries)." 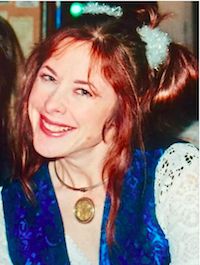 Modglin, she said, started the Sunshine Arts organization 10 years ago to help expose underprivileged kids from her native Upper Darby to the arts. A fundraiser at Dirty Franks on March 4 will help cover Modglin's medical expenses, which is particularly important since her brother thinks she was uninsured. Details will soon be made available. The family is also in the process of setting up a GoFundMe account and is also collecting donations, which will go toward medical expenses and keeping the Sunshine Arts organization going. Anyone interested in donating can mail a check to Modglin's oldest sister Kathy Kalafut at 27 Paper Mill Road, Springfield, PA 19064. "The outlook is good, but she still needs prayers and any help she can get," Rick said. A similar incident, but apparently a hit-and-run, occurred on Eagles parade day in South Philadelphia. Glenn Richardson sent out a Facebook post over the weekend regarding his daughter Ellie, who was struck by a Jeep in South Philadelphia. "Our daughter Elizabeth 'Ellie' Richardson was walking with us back to our car after the Eagles parade. She was hit by a car. The driver left the scene," it read. Her injuries were not as severe as those suffered by Modglin, with her father citing a sprained knee and a partial dislocation of the left kneecap. "It could have been way worse," he wrote, posting a photo of the vehicle in the hopes of tracking down the driver.